Yesterday’s terrible Antisemitic attack on the Tree of Life synagogue in Pittsburgh USA has been responded to here in the UK with prayers and with words of condemnation and strong messages of solidarity with the Jewish community from across the UK’s faith communities. provide a vital resource, as does the experience of visiting a place of worship. and ensure their children encounter a diversity of religions. they engage with visits to diverse places of worship. for the age of the children involved. but should never be used to convert, proselytise or radicalize children. should never be compelled to take part in any religious activity. avoid any comment that critiques or gives negative views of any other faith. from marginalizing any communities, groups or individuals. be encouraged to think about their response to what they hear. that are approved by the religious communities concerned. check that they are fully abiding by such requirements. The ISB event listed below is to be preceded by …. Over recent months the Faith Leaders’ Group in Sheffield has agreed a charter of principles to guide the way children from different religions learn about and encounter other faiths. This is a significant step forward in our goal of building community cohesion, with each faith leader committing to ensuring children from their religion learn, with tolerance and respect, about the beliefs and practices of our neighbours. 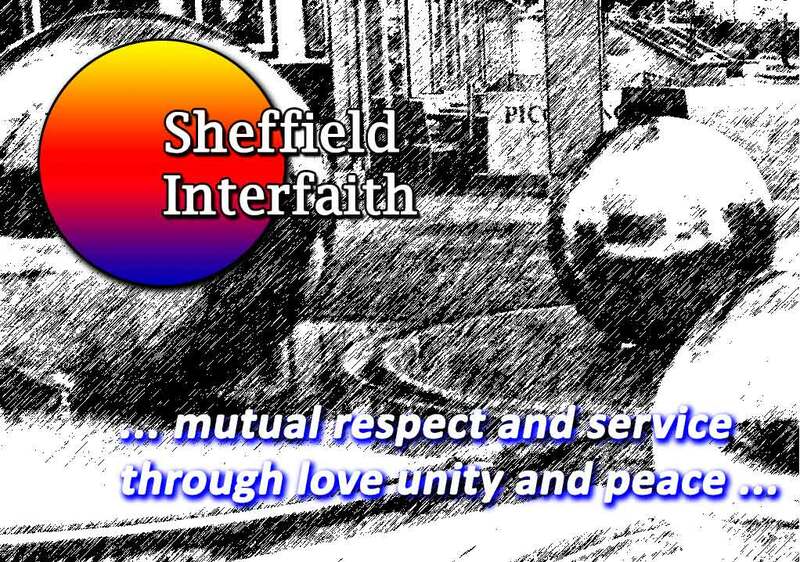 We intend to launch this charter at the Interfaith Event hosted by the Islamic Society of Britain at St Andrew’s Psalter Lane Church (31 Psalter Ln, Sheffield S11 8YL), on Tuesday, 20th November 2018 at 6.00pm. Following the launch, you would be welcome to stay for the full evening of discussion and sharing together. We look forward to sharing in this launch and the work that will follow. To mark the Interfaith week, The Islamic Society of Britain will be holding a special evening, where people of different faiths come together to discuss the questions which may still be left unanswered. to our annual interfaith event, which will provide an opportunity for members of different faiths to further understand one another’s faith. Durga is the patron goddess of Bengal (the state of West Bengal in India plus East Bengal which is now Bangladesh) and the festival to honour Her is the most important one for Bengali Hindus. There are events at 11:00 every day from Sunday 14th to Friday 19th October, ending with a light meal. See the second page of the invitation on the link above for details. A few Quakers will share their spiritual journeys, we’ll experience Quaker worship and there will be time for sharing, questions plus hot drinks and biscuits. Shirley House Interfaith Centre 7.30pm Tuesday 2 October. All are welcome. Suki Singh, Sikhism representative for interfaith relations in South Yorkshire, will talk about the beliefs and practices of this monotheistic religion founded in the Punjab in the fifteenth century. Sikhs form the fifth most numerous faith group in Sheffield, and built a beautiful Gurdwara in Warren Street, S4, which opened in 2011. We (Dept Philospohy, University of Sheffield) are pleased to announce a new season of talks in our ‘God and the Good: Thinking Religion and Ethics’ series, in partnership with Sheffield Cathedral. This series of interdisciplinary talks, is intended for a general audience. The series will consider the relation between religious thinking and traditions on the one hand, and ethics on the other. While most ethical traditions have a religious background, the increasing secularization of modern society has put this connection in question. These talks will consider how far ethical issues can be illuminated by coming at them through a religious context, and vice versa, as well as the history of the interconnection. All are welcome, and there is no need to register attendance. Throughout history, the encounter between Christianity and Islam has been largely polemical driven by theological, political and sociological differences. The lecture will explore how doctrinal differences on a range of issues such as the nature of God, law and salvation led to serious intellectual engagement between Christian and Muslim scholars but also a gradual cultural and civilizational distance. Many of the historical tropes are being revived today in our Euro-Atlantic politics leading to new shifts and rifts in this most complex relationship. It is commonly claimed that atheists can be as moral as practitioners of traditional religions, and no doubt this can be so. However, John Gray suggests that atheists have promoting a wide variety of conceptions of the good life. Examining the history of atheism over the past several centuries, he will argue that it has not been a single intellectual movement but a diversity of contending sects adhering to divergent and often conflicting values and advancing very different ways of life. The question is therefore not whether atheists can be moral, but: Which morality should atheists follow? This talk will explore how, in pursuit of the common good, the church has something to offer in policy-making as well as in project-delivery, in what might be called a prophetic role and not merely a pastoral one. More information, including information about the speakers is available on our website. University Teacher and Senate Fellow.